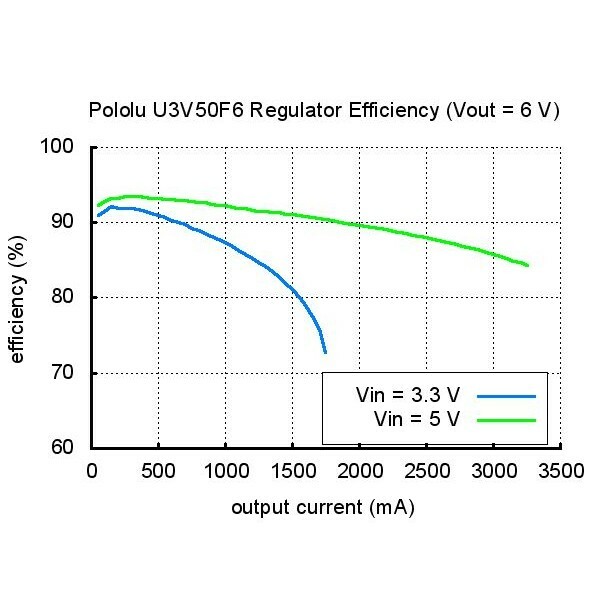 This Pololu Step Up Boost Voltage Regulator provides a steady 6V at up to 5A. 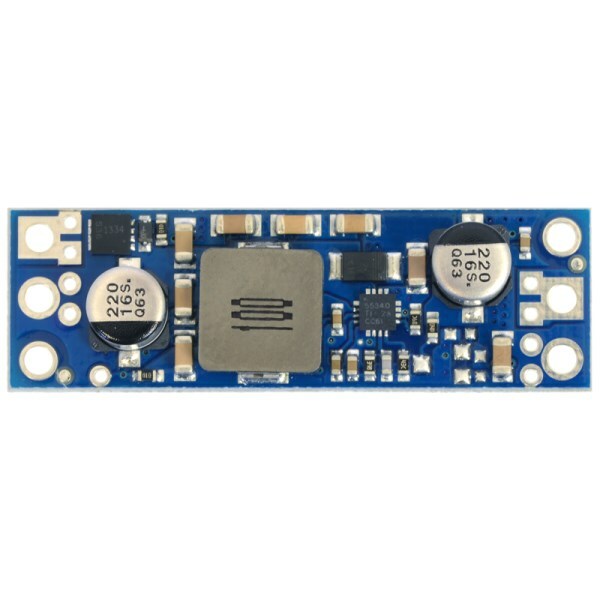 By using an efficient DC-to-DC switching regulator design, this tiny boost regulator delivers a stable 6V supply from as little as 2.9V. 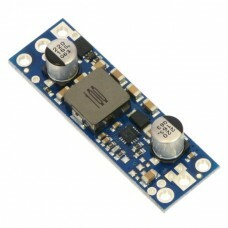 With a typical efficiency of 80-95%, this switch mode regulator is ideal for battery powered projects. 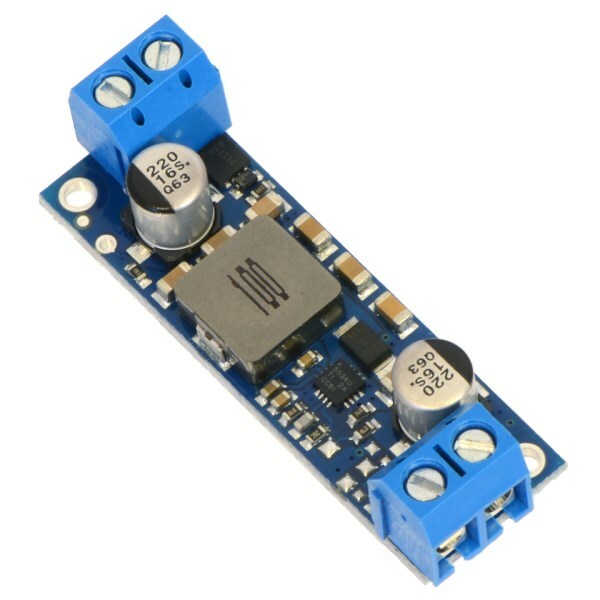 The steady 6 volt output at 5 amps is great for driving your robot's servos from rechargeable batteries. 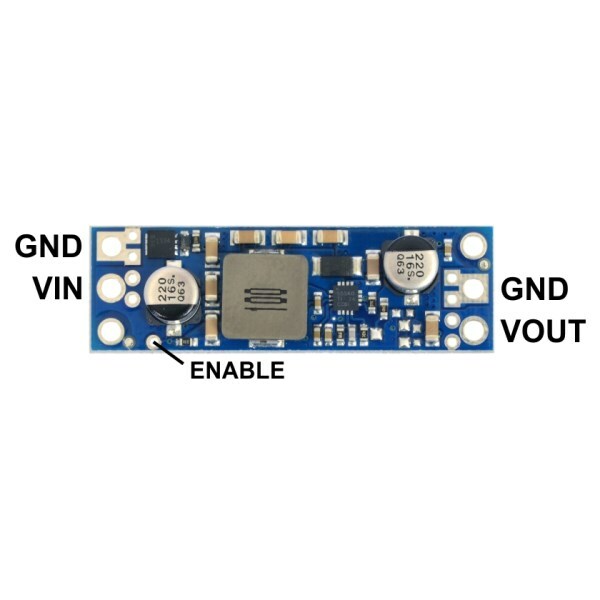 Connect your power source to the voltage input (VIN) and ground (GND) pins. Draw your regulated 6V power from the voltage output (VOUT) and associated common ground (GND) pins. We advise that you leave the optional ENABLE pin disconnected. 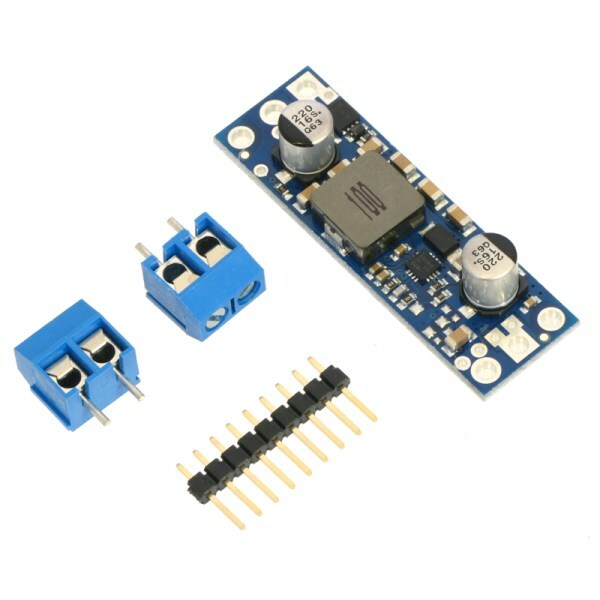 Driving the optional ENABLE pin low (0.7V or less) will put the power regulator into sleep mode and allow the input power to pass directly through to the output pins.